Back in 2013, when David Ewalt’s Of Dice and Men came out, I had not played Dungeons and Dragons in probably twenty years. I had no expectation of ever playing again, and only picked the book up out of nostalgia for my misspent youth. But by the time I got around to reading it, I was back in the game and stumbling my way through a new campaign, bolstered mightily by the mercy of some friends who had never stopped playing. 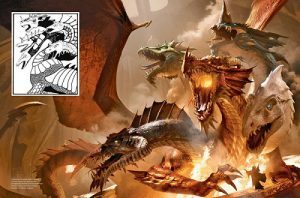 Let’s face it, David Ewalt speaks true when he says that “the system encourages long-term engagement, and its one reason why D&D fans are particularly devoted to their hobby” (96). 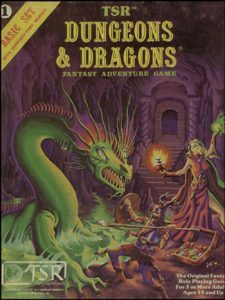 Somehow, despite growing up and assuming our adult responsibilities, a great many of us cannot say a permanent goodbye to D&D. Ewalt describes a similar trajectory for himself, and uses that as the peg to hang his narrative on. A substantial amount of the book is illustrated with passages describing Ewalt’s reintroduction to the game, his fellow players (including both their real-world jobs and their characters’ professions), and his current, ongoing campaign. Much like Shakespeare, these passages play a whole lot better than they read. This is not his fault, nor is it a criticism. D&D, no matter the version in use, is meant to be lived. Ewalt’s style is light, quippy and a little snarky (“D&D scenarios are the microwave dinners of the role-playing world” (100)), but he covers a lot of ground. He starts his journey with a brief history of chess and that game’s evolution into progressively more elaborate war games—from strategy-based systems to miniature-fueled reenactments. He outlines the development of a scattered historical gaming community brought together at conventions. And then he introduces us to the young Gary Gygax, who was deeply into historical gaming before he discovered the joy of gaming and turned it into his life’s work. Ewalt also gets into the politics behind the scenes of the game at TSR, the personal and business conflicts, the royalty issues, the copyright infringement cases (both by and against TSR and Co.), and the creep toward mainstream popularity and mass-market merchandising that might ring a little strangely for the hard-core among us. 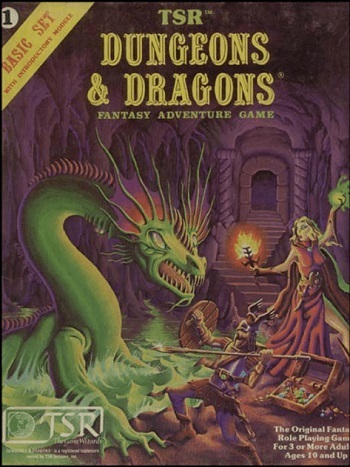 He includes the financial mishandling and collapse of TSR, Gygax’s death, and the survival of D&D through its purchase by Wizards of the Coast. Of course, all this is all related in the same adventurous tone as his campaign recollections. It goes down easy. He even touches briefly on live-action role playing, but until he needed to research it had never done it, and sees it as something ‘other’ than a traditional RPG. The friends I had who were involved in LARPs did not do tabletop games, so Ewalt may be on to something, there. 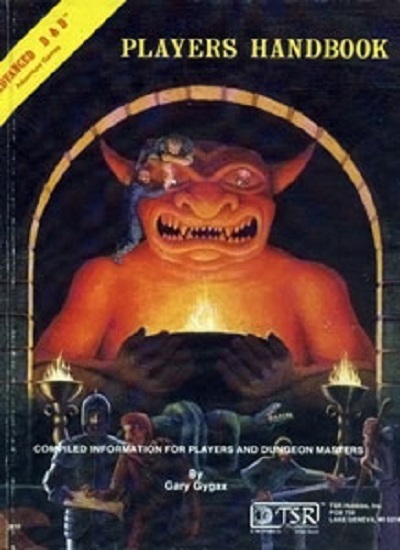 And because you cannot discuss D&D without it, Ewalt reviews the dark time in the nineteen eighties when the game and its players became synonymous with the seduction of black magic and insanity. This particular slice of awfulness was served during my prime playing days, when Tipper Gore and other parental McCarthyites became determined to save us all from the overblown, misunderstood, and purely imaginary dangers that RPGs and heavy metal music were blamed for promoting. As a player himself, Ewalt understands very well the group dynamics that are the heart of the game. He describes familiar personality types that just don’t fit anywhere, even in the odd assemblage that is a gaming group. But he also describes quite vividly the emotional bonds that hold even the prickliest mix of players together: “even when a game is over, the bonds that have been created persist…The people you play games with become your clan. They share your experiences, know your strengths and weaknesses, and help protect you from a dangerous world” (119). 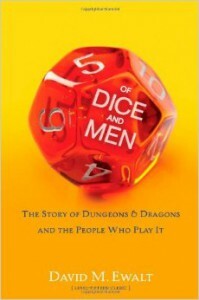 To sum it up: Of Dice and Men is a light yet reasonably comprehensive read written by a person who loves Dungeons and Dragons and always has. Ewalt hits most of the major points of the game, its major contributors, and its development without ever bogging down or preaching it. If you want a refresher course in why you also love playing D&D, this may be exactly the book for you. H.P. Lovecraft’s output has been thoroughly mined and mulled over, anthologized and, as I’ve mentioned before, annotated. But the popular focus has long been on his Cthulhu Mythos. While “In the Walls of Eryx” has always been one of my favorite H.P. Lovecraft stories, it stands apart from that particularly haunted universe. Instead, its universe is a bit closer to home. In addition to his own distinctive output, H.P. Lovecraft was a frequent collaborator. He lent his particular, disturbing expertise to at least thirty-three collaborative works during his lifetime. Some of his co-authors were famous in their own right, like Harry Houdini, C.L. Moore, and Robert E. Howard. Most of the others had more modest writing careers. And some, like Lovecraft’s co-author for the short story “In the Walls of Eryx”, barely made another ripple in the literary world. Kenneth J. Sterling was a Providence high school student when he approached Lovecraft for assistance in writing “In the Walls of Eryx”. Of course, as with many of his other collaborations, Lovecraft made it his own by writing the vast bulk of the finished story. And as was Lovecraft’s habit, even though the seeds of the story belonged to someone else, he inserted his insidious themes and colored the entire piece. 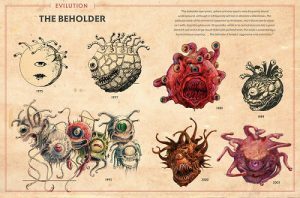 What started as a straightforward, if juvenile, derivative misadventure became complicated with Lovecraft’s hallmark hints of cosmic doom: “I believe we have violated some obscure and mysterious law—some law buried deep in the arcana of the cosmos…”. “Eryx” may not be part of Lovecraft’s sprawling mythos, but it still manages to evoke the same haunting dread. Lovecraft’s ventures into science fiction are much like Ray Bradbury’s or Fritz Leiber’s; the tales are science fiction only in setting, not detail, because their authors are fantasists, not scientists. This in no way diminishes the stories, but one should not approach them looking for solidly grounded scientific or technological ideas. Although it is set on Venus and throws about superficially impressive terminology such as flame-pistols, oxygen masks with sponge resevoirs, crystal detectors, N-force, and an alternate Venusian dating system, “In the Walls of Eryx” still hangs entirely on pure human fear, and brings Lovecraft’s beloved tentacles into the mix within the first page. It is a horror story masquerading as science fiction, not a syllable of it contingent on technology. Lovecraft’s conception of Venus in “In the Walls of Eryx” is in keeping with how the planet was often imagined in the early twentieth century. 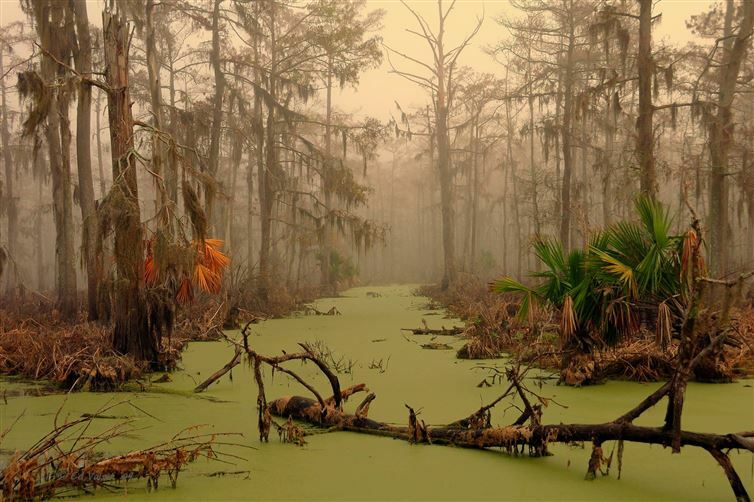 Venus was pictured as a soggy place, swampy and hot and overgrown, and the jungles of Venus were a popular setting for a number of early fantasy and science fiction authors. Edgar Rice Burroughs, C.S. Lewis, Isaac Asimov, Robert Heinlein and Ray Bradbury all painted Venus as wet and steamy—Lovecraft was in very good company. In addition to his take on the swamps of Venus, Lovecraft also provides some vivid if not particularly active aliens for us to revile. The natives are described throughout the story as damnable, skulking, slinking, detestable, scaly wretches; man-lizards with “green, slimy, frog-like skin”, and an “accidental physical resemblance to terrestrial man.” The human narrator is disgusted by them but sees them as more nuisance than threat since they are so clearly lesser beings. I can only wonder if Kenneth Sterling had any say in them at all, since the creatures seem as much Innsmouth as Venus. In Lovecraft’s hands, the imaginary technology, grossly inferior aliens and gloomy Venusian swamps still produce an undeniably eldritch effect. This story is scary in the creeping, unclean way that all Lovecraft’s stories are scary. The marvelous, sticky dread Lovecraft weaves through all his work is in full bloom, here. He builds his mood with carefully chosen imagery rather that evokes huge off-page events, and the end result is his hallmark bleak despair. The inherent uncleanness of “In the Walls of Eryx” does not lie in the farnoth flies or the slimy mud, the random dead body or the spongy vines. It is instead generated by the absolute hopelessness of the narrator’s situation. 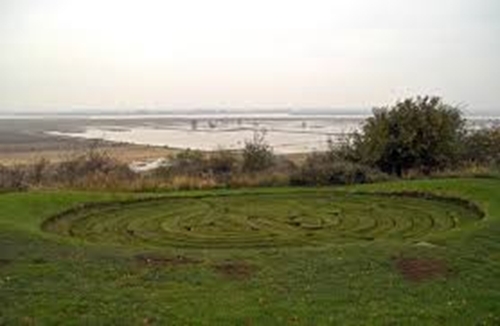 He has wandered into an invisible maze with twenty foot high walls, and he cannot find his way out. There is paranoia to be found here, and enforced helplessness. Like so much other work that Lovecraft left his fingerprints on, the end can only be grim for our protagonist. Part of Lovecraft’s appeal here is in how he builds up the creep-factor through repetitions of the character’s experiences, ratcheting up the intensity as he deals with a recurring yet progressively worsening scenario. “In the Walls of Eryx” is twelve thousand words of a man trying and failing, repeatedly, to escape from an invisible maze. That is the summary of both plot and action—but it still manages to leave the reader with a grim tension not quite dispelled at the end. That lingering tension is why I think this story could easily be expanded into a nerve-wracking film. While it doesn’t have the somewhat more action-driven plot as the famous, cult-movie inspiring Herbert West, Re-Animator (see our Mort Delciver’s reviews of Re-Animator and Beyond Re-Animator for details), “In the Walls of Eryx” has potential. Its claustrophobia is a familiar horror trope. The lurking aliens, the unsee-able maze, the utter aloneness of the narrator, all point to a creepy little film, should anyone wish to make it. It also provides an excellent gaming scenario. “In the Walls of Eryx” did inspire a very simple browser video game a few years ago, but the premise can be exploited for so much more. Most Lovecraftian video games focus on the mythos. The tabletop games as well, dominated by Call of Cthulhu, do not stray very far afield. Certainly not as far as Venus. Unfortunately, since the story isn’t part of Lovecraft’s main mythos, it tends to get shunted to the side (and I may certainly have missed something). But from the swampy landscape thick with carnivorous plants to the tentacled lizard-men, from the potential conflicts of a human commercial outpost on Venus to the starkly simple threat of an alien invisible maze, there is an entire extended narrative to be built from this. August Derleth had his shot. This one is ours.